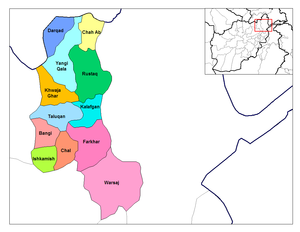 Takhār (Persian: تخار‎) is one of the thirty-four provinces of Afghanistan. The capital is Taloqan. Its salt mines are one of Afghanistan's major mineral resources. This page was last changed on 12 March 2013, at 18:59.